Citizen eco-drive is fuelled by light, any light. it's a watch that never needs a battery. 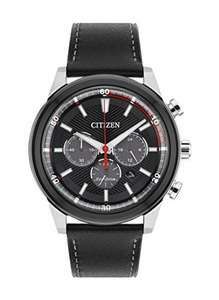 Love Citizen watches (have two) This looks great at this price. The battery has just gone on my Eco-Drive. Got it roughly September 2011. Insane price I paid £80 about a month ago and love it.